The Introduction Of What Arcade Game Caused a Massive Coin Shortage? Behind Bees, The Most Prolific Pollinators Are? While the idea of slipping coin after coin into a machine to keep the good times rolling might be foreign to modern console and portable-device gamers, in the early days of video game entertainment, coins-for-play was the law of the land. One arcade game in particular was so incredibly popular that it caused a temporary shortage of 100-yen coins in Japan. Within a year of its release in 1978, the number of 100-yen coins being dropped into Space Invaders machines was so high that it was causing a large enough shortage of the smaller denomination coins as to impede regular citizens and stores from using them. Japan wasn’t the only country where arcade goers were stuffing Space Invaders with coins; world wide the game was raking in an average of 600 million dollars a year in coins. 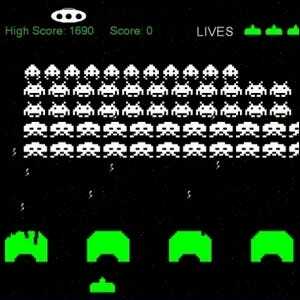 The revenue pulled in by Space Invaders machines between 1978 and 1982, when adjusted for inflation, is over 2 billion dollars–making Space Invaders, by far, the most profitable video game of its era.